Known for stunning scenery and fluffy powder snow that’s just begging to be skied, Banff and Lake Louise are a winter enthusiast’s dream. But if you’re not prepared for winter temperatures and wind, it can put a damper on your ski vacation. Here’s a quick guide to staying one step ahead of the winter chill at Mt Norquay, Lake Louise Ski Resort and Sunshine Village. Send out toasty warm shaka vibes & spread the stoke with these cozy, unique mitts. Photo: Oyuki shaka mitt. 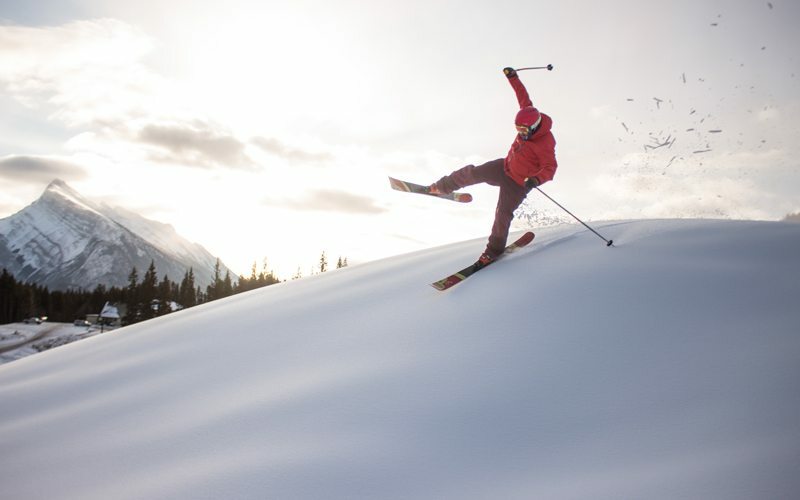 During ski season in Banff National Park, as a general rule, up top you’ll need one or two thermal base layers, a breathable, lightweight and insulated mid-layer, then a water resistant ski jacket. Be sure to button up the jacket’s internal powder skirt to keep you dry if you fall in the snow. Golden rule of layering: cotton is not your friend on the ski hill. It tends to hold moisture making sweat a liability. Ski pants are a must, and make sure to organize your bottom and top layers to avoid any gaps. Falling into a pile of deep snow may be fun, but removing the snow that goes up your back is never pleasant. 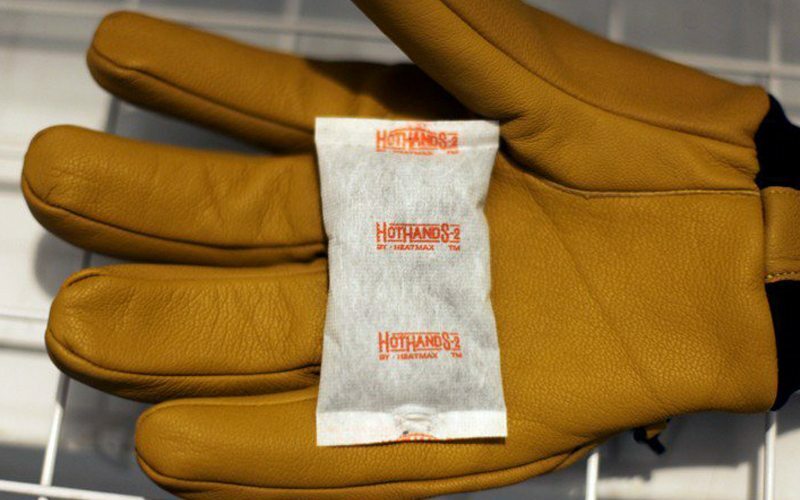 For your hands don’t skimp with flimsy gloves, choose something that’s both waterproof and windproof to help keep your digits warm. Better yet, mitts trap more heat. 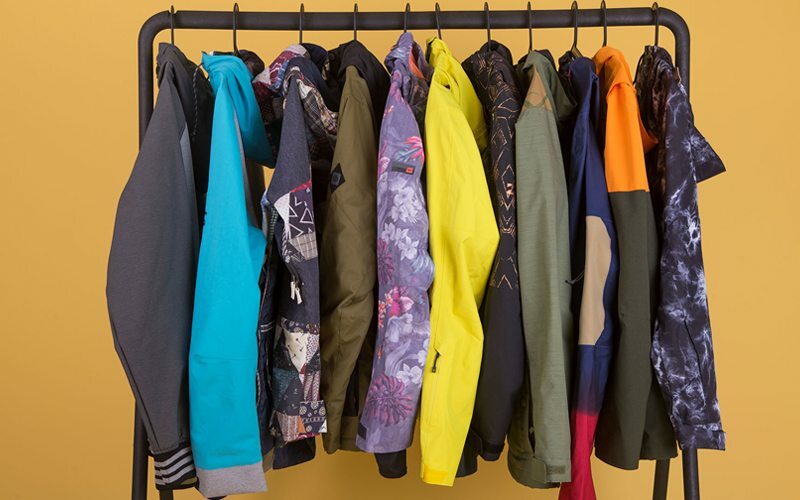 Pick a pair that can be cinched over or under the arms of your jacket reducing any chance for snow to get in. On your feet try long, thick ski socks that feel comfortable inside your ski or snowboard boots. Merino wool is a great choice offering both comfort and warmth. 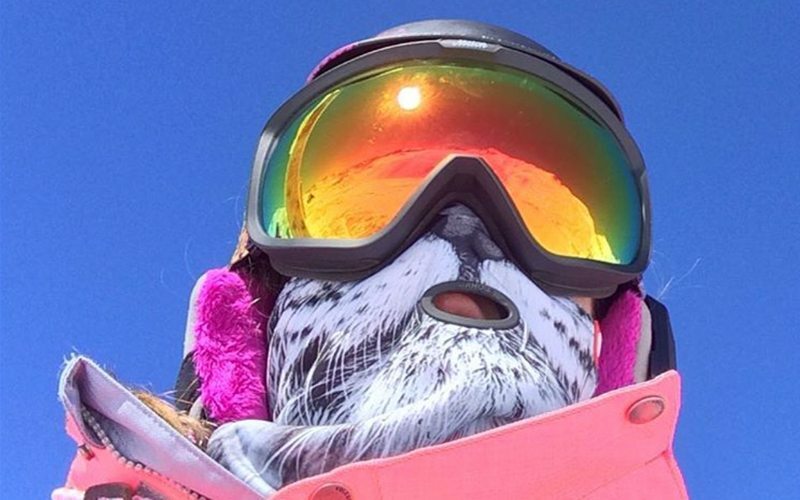 Your helmet will keep your head warm while you ski, and goggles have your eyes covered. Neck tubes and buffs are great for keeping out the cold on your neck and around the back of your helmet. Save your toque or beanie for staying cozy in style, après-ski. Forget to pack some of this in your luggage? 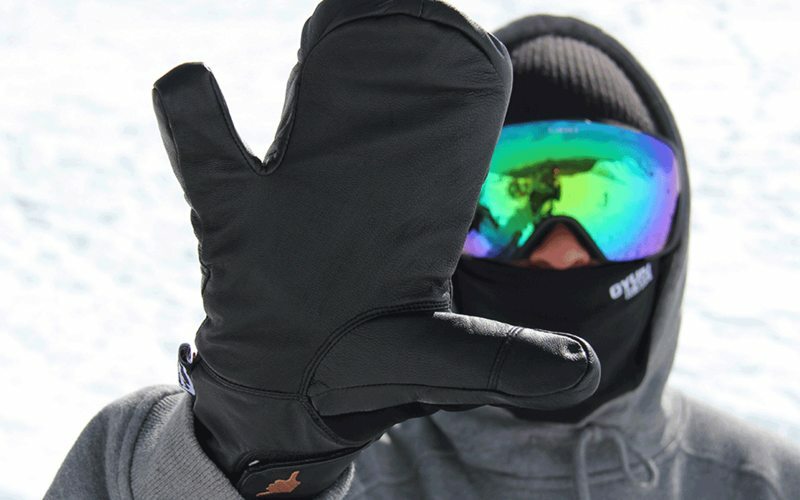 Stop by the Banff Ski Hub and choose from a wide selection of mitts, gloves, socks and other accessories. Stay warm with smart layering. Photo: Whitelines.com. Winter’s chill can seep through even the best mitts and socks. While not essential, hand and foot warmers can provide some extra warmth to keep your extremities comfortable and ready to go all day. 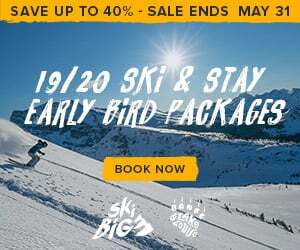 Pick them up at the on-mountain retail stores at Mt Norquay, Lake Louise Ski Resort and Sunshine Village, or downtown at Banff Ski Hub. On particularly chilly days, exposed skin can get cold fast. Prioritize a cozy nose with a full-face balaclava, or a fleece buff that be adjusted from above your nose to under your chin. Always have a clean neck tube or buff as part of your clothing plan – these relatively inexpensive items are key to keeping the winter chill at bay. Keep your nose and face warm with a fun printed buff or balaclava. Photo: @flexiskiuk on Instagram. This one might be a little personal, but it’s useful to keep in mind! Keeping a full bladder warm takes a lot of natural energy, leaving less to go around for your fingers and toes. It’s amazing how much warmer you will feel after a bathroom break. And, it’s no fun if nature calls the moment the cold hits you, and a cruisy run becomes a race back to the lodge. So it’s always a great thing to remember: head to the washroom before you jump on the chair or gondola. Don't get caught out in the cold - head to the washroom before you ski. Photo by Luke Sudermann at Mt Norquay, December 2016. Hours of skiing or snowboarding on a particularly cold day can leave you feeling chilly. That’s why quick breaks are a good way to beat winter’s chill in between runs. Try heading out for one or two runs before taking a breather in the warmth of the on-mountain lodges. After a short rest indoors you’ll be warmed up and ready to hit the snow again in no time. 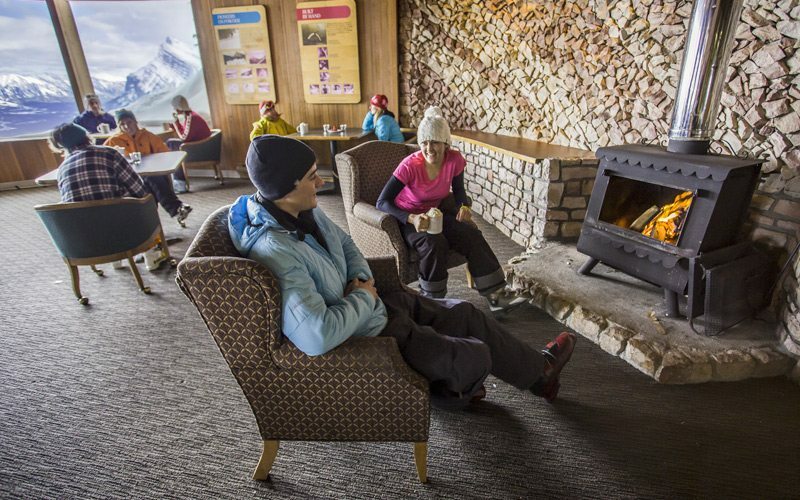 Warm up with an indoor break at an on-mountain lodge. Photo: Mt Norquay's Cliffhouse Bistro by Paul Zizka. With a variety of on-mountain dining options available at Mt Norquay, Lake Louise Ski Resort and Sunshine Village, you won’t be left cold and hungry on the slopes. From burritos, pizzas, ramen and poutine, to soups, salads, sushi, hot drinks and more, it’s easy to reinvigorate your ski legs with some hot and hearty eats. 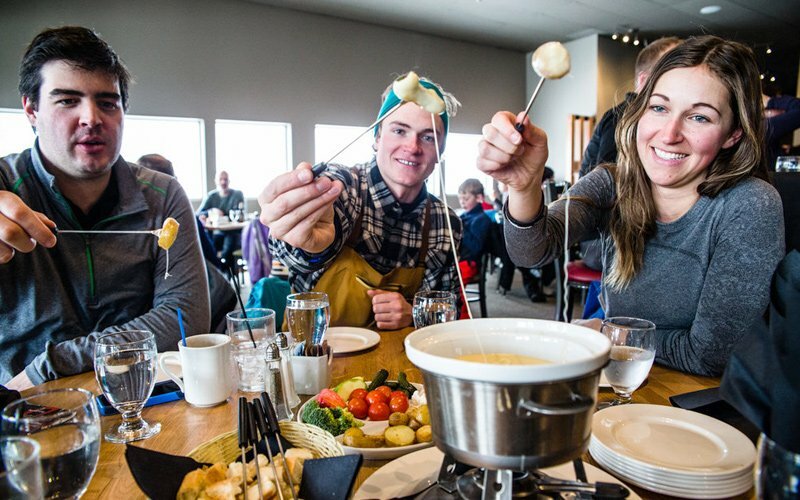 You're spoiled for choice with hot meal options at Ski Big 3 resorts, like cheese fondue at Whitehorn Bistro, Lake Louise Ski Resort. Photo: Liam Doran. Good circulation means warmer ski legs. Swing your arms around a few times when you get to the top of the chairlift and gently rotate your wrists and ankles each time you take a break. It might look a little silly, but it’ll keep you warmer and prevent stiffness. If your ski or snowboard boots are too tight your feet will get cold. So if you can, think about loosening them just a little to help your circulation. Still feel the cold creeping in? Challenge yourself with a trickier ‘bump’ run – opt for moguls or gladed runs instead of cruisey groomers. You’ll work your whole body and keep that blood flowing. 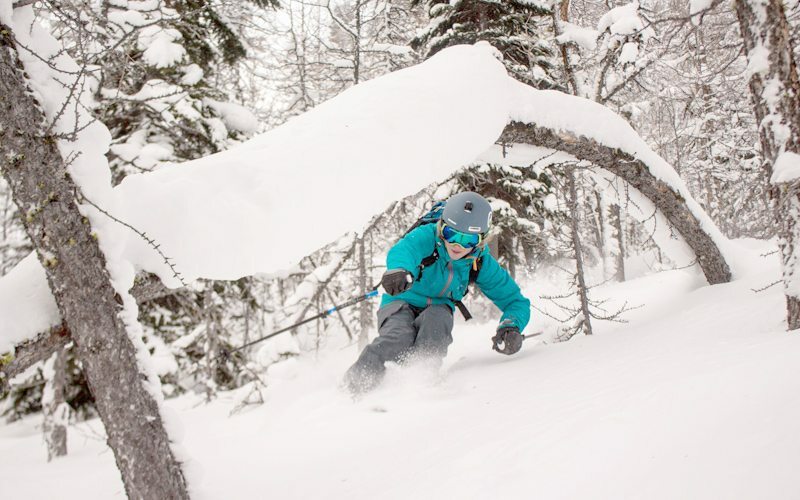 Stay warmer while skiing by opting for a more challenging gladed run. Photo by Luke Sudermann at Lake Louise Ski Resort on December 28, 2016. The first heated chairlift in Canada, Sunshine Village’s TeePee Town LX, is the perfect way to warm up in comfort before your next run. Orange bubble covers and heated seats set this chair apart from the rest, so put your feet up on the footrests and get cozy. 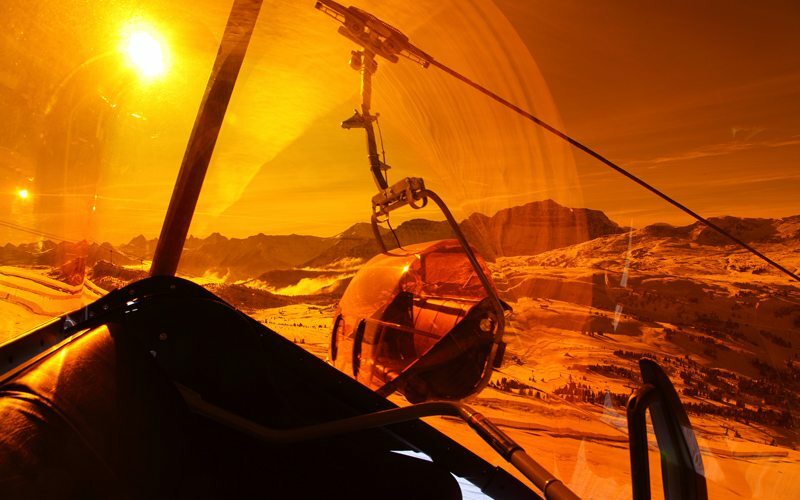 Jump aboard Sunshine Village's TeePee Town LX heated chairlift for a cozy ride. Photo: Dan Evans. Get toasty with a good feed après-ski – here’s our guide to the best comfort food in Banff and Lake Louise. And, jumping into hot water after a day on the slopes is a great cure for any longer lasting chill. Here are our suggestions for Banff and Lake Louise’s best hot pools.